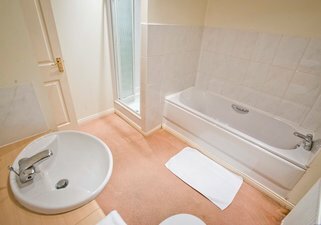 2 Bedroom Edinburgh Holiday Apartment with Parking. The properties were converted to modern, light and bright comfortable homes. 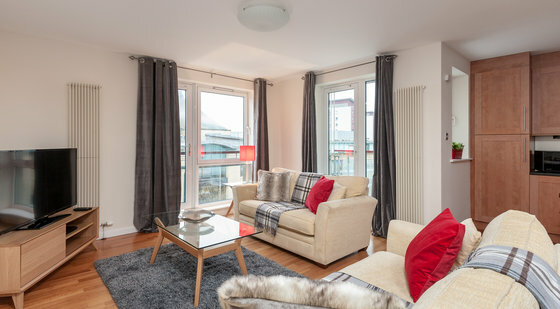 An ideal property to spend a time in Scotland's capital city to enjoy the history and culture or relax away from home. 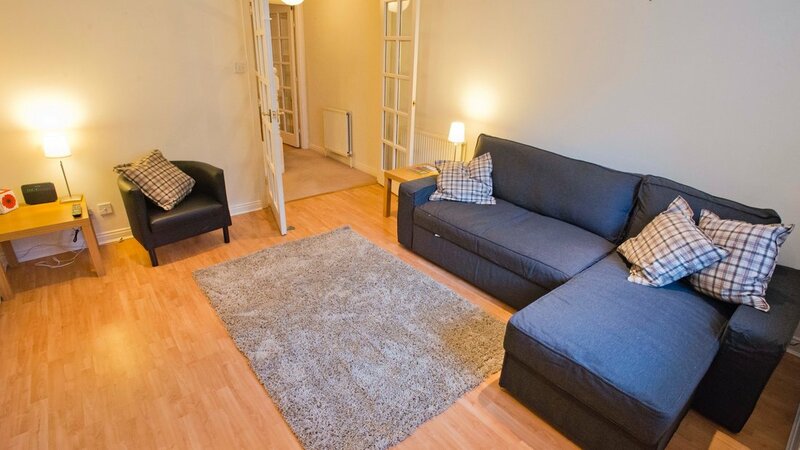 A quiet, spacious and well appointed two bedroom mews house in the heart of the city. Ideally located for Waverley Station, The Royal Mile and of course Edinburgh Castle. 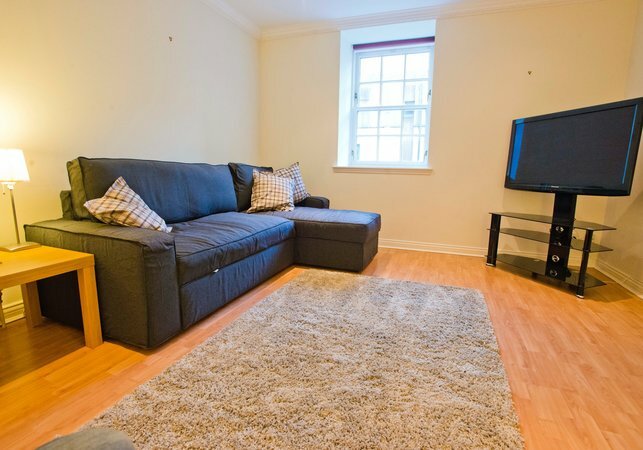 This fantastic Edinburgh Holiday Apartment is spread over three floors with a twin bedroom and bathroom on the ground floor, lounge and kitchen / dinner on the first floor and a master bedroom on the second floor alongside a shower room. The property also benefits from a free designated parking space. 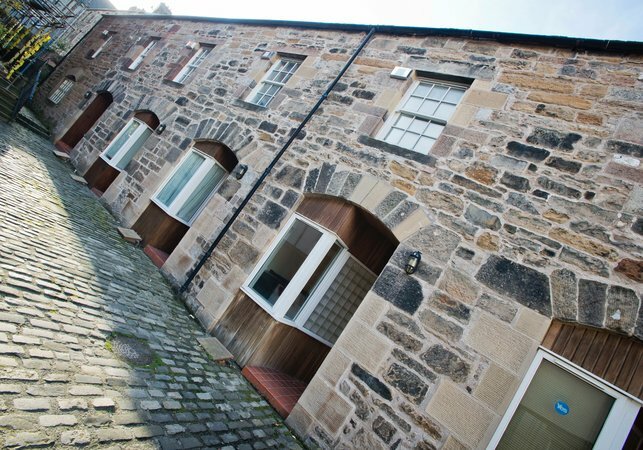 This is a fantastic mews house in a small quiet community right in the heart of Edinburgh's Old Town. Perfect for both family groups and corporate customers. The kitchen is well equipped with fridge, freezer, dishwasher, cooker, toaster, kettle and microwave. 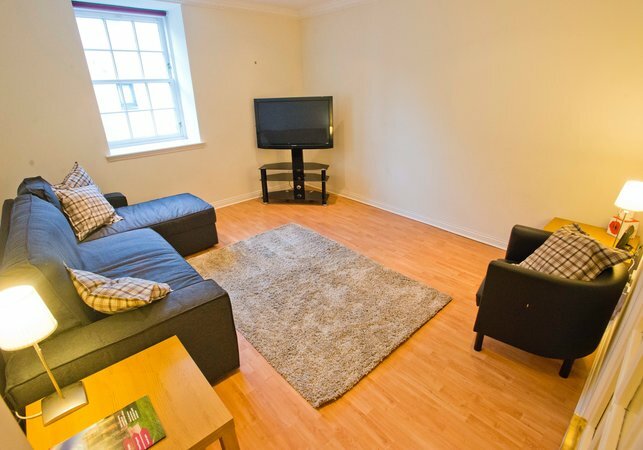 The property benefits from Free WiFi and a tv with a full range of channels available through freesat. 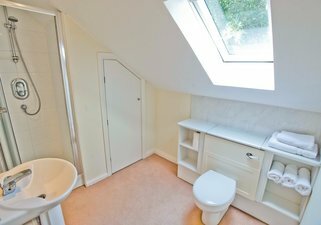 This house sleeps 6 with the use of the sofa bed in the lounge, plus cot space in the master bedroom and the twin bedroom. 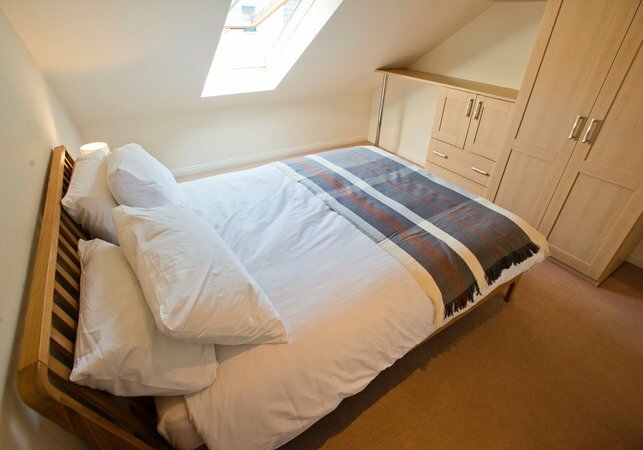 Bedroom 1: Double bed + Space for Baby cot or Childs bed. Bedroom 2: Twin Bedroom (located on the ground floor with a Bathroom next door.. Ideal for elderly perhaps? 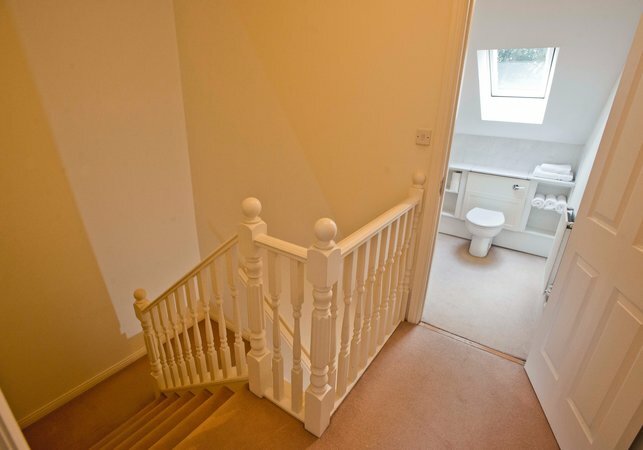 The apartment has 2 bathrooms, one on the ground floor and another on the third floor. Twin bedroom, Double bedroom and double sofa-bed in the lounge. Arranged over 3 floors. Entrance level there is a twin bedroom and master bathroom. 1st floor there is a lounge and kitchen then on the top floor is the master bedroom and second bathroom. This apartment is in a quite Cul-de-Sac just off the Royal Mile. This house was perfect for our family, we couldn’t have asked for anything more. The location was amazing, a stones throw from the Royal Mile, at the quieter, more preferable end. The house was very central to Edinburgh, walking distance to everything, but at the same time very quiet. I like to go out for a run most mornings and this was a couple of minutes from Holyrood Park, so ideal for me. There are two reasonably sized bedrooms, two large bathrooms and a well equipped kitchen, so it suited our family of four well for the 7 days we were there. 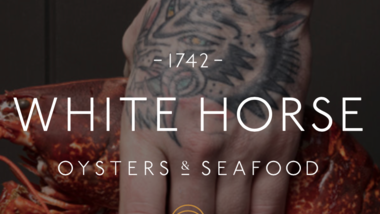 For those that book here, there’s a Tesco Metro less than 5 minutes walk from the house. It wasn’t shown on google maps so we didn’t discover it until late in our stay. You just need to walk down the alleyway next to Starbucks, towards Holyrood Road, past Pizza Express, and you’ll see it. We would definitely stay here again. Location Location Location!! I can’t stress enough how great this location is. 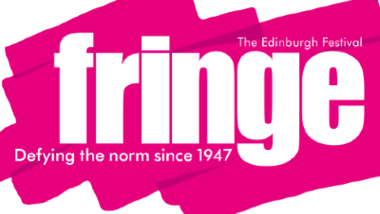 You can literally be out the door and onto the Royal Mile in less than 5 minutes!! The apartment was very clean and Jon was a great host. It was our first experience with AirBNB, and he helped us every step of the way. Traffic in Edinburgh can be tough, and parking is almost impossible, so being able to easily walk to most attractions is great, and the private parking spot is a godsend. Can’t recommend Jon’s place enough!!! Thank you Jon, the apartment was perfect, quiet and really well located. We had a very pleasant stay. Great listing! A stone's throw away from the Royal Mile. The three floors were spacious and grand. The bathrooms large and clean. Jon was a friendly and responsive host, on-site. Awesome place to stay in Edinburgh! Die Unterkunft liegt ziemlich Zentral und in einer schönen ruhigen Umgebung. 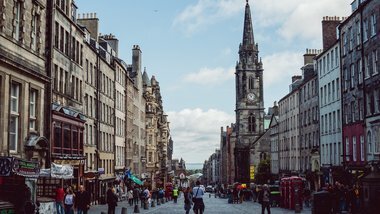 Innerhalb von 3-4 Gehminuten ist man schon im Zentrum von Edinburgh. Die Unterkunft ist sauber und bei Fragen bekamen wir immer eine schnelle und nette Antwort. Die Betten waren groß und bequem. Sehr gut ist ebenfalls dass das Haus zwei Bäder besitzt. Küche und Wohnzimmer sind sehr sauber und auch einladend. Wir würden jederzeit wieder kommen und können diese Unterkunft jedem weiterempfehlen! The accommodation is fairly central and in a nice quiet environment. Within 3-4 minutes you are already in the center of Edinburgh. The accommodation is clean and with questions we always got a quick and nice answer. The beds were big and comfortable. Very good is also that the house has two bathrooms. Kitchen and living room are very clean and inviting. We would come back anytime and would recommend this property to anyone! 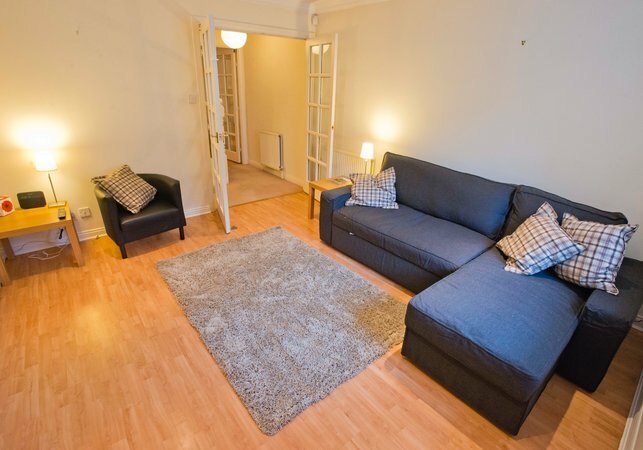 Great location, very close to the Royal Mile and Calton Hill. 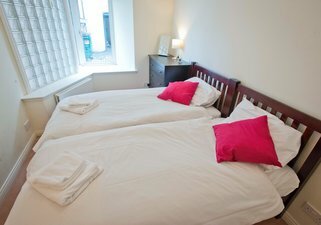 Warm and comfortable, with all the facilities you may need. We used the house from 20th April 2016 for 4 nights. It is very nicely located just a 10 minute walk from Waverley Station. The house is on 3 floors and provides good size accommodation. There were 4 in our party so we made use of the bedrooms on the ground and second floor. 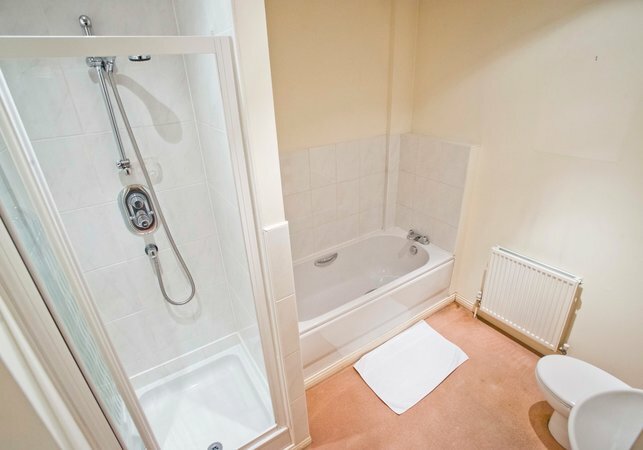 The bedrooms are of a good size and the bathrooms are the same. The first floor lounge and kitchen/diner are great places to socialise. There is Wi-Fi and a nice size TV with catch up TV. The house is in a very quiet area however, within a few minutes you are on the Royal Mile with very easy access to Holyrood House and The Scottish Parliament. 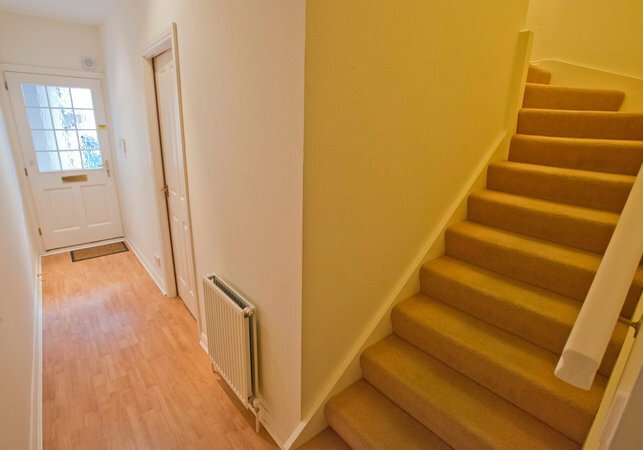 We found the house to be an ideal base for exploring the beautiful city of Edinburgh. Highly Recommended.